While everyone likes to save money on travel, many people don’t take the time to research the best hotel deals and end up paying more than necessary. The fact is, hotel rates for very similar hotel rooms can vary quite a bit. Even rates for the very same rooms fluctuate, depending on factors such as the day of the week, season and how busy it is. The following are some of the best ways to find cheap hotel deals. You can’t always choose when you travel. However, if your plans are flexible, you can plan your trip during a time when hotel rates are lowest. If you can take a vacation off season, for example, you can find much cheaper rates than going peak season. Similarly, you will usually pay less if you book a room mid-week as opposed to the weekend. 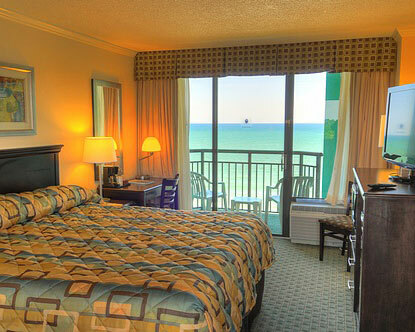 You can often save substantially on hotel rooms by purchasing them as part of a package. Bundling services will usually get a better rate than if you purchased each of them separately. If you plan to rent a car while traveling, you can also bundle this service as well. You can search for package deals to the place you’re visiting. Many online travel sites will automatically offer you a hotel deal when you book a flight. Purchasing a package also saves you the trouble of having to book services separately. Loyalty programs allow you to use points that you earn on hotels as well as flights. These programs are especially useful for business travelers and anyone who travels frequently. You can eventually earn free stays at hotels by accumulating points. You can earn points by using your credit card as well as by flying and staying in hotels. If you enjoy a certain amount of luxury when you travel, you may be able to get free upgrades simply by requesting them. This is a cheaper alternative than booking luxury suites. When you reserve a regular room, call ahead or inquire at the desk if upgrades are available. You may also be able to arrange upgrades online by participating on hotels’ social media pages. Hotels often provide steep discounts on unsold rooms at the last minute. You might not want to try this if you’re traveling during a holiday weekend or when there’s a popular event going on; you don’t want to risk not finding a room. However, during normal times, you can make inquiries a day or two before you travel and often find discounted rooms. These are just a few of the ways that alert travelers can find cheap hotel deals. Hotels are perfectly content to let you pay top dollar. There are, however, many ways to save money if you’re willing to do a little research.